workshop | my heart is happiest when i travel. read. write. connect. Tonight’s plan was to head to The Montrose for some Mexican food (I was totally craving it! ), do a bit of work, blog, and come home early-ish. The atmosphere at The Montrose is laid back and very conducive to writing, which I was hoping would get the creative juices flowing. After scarfing down my quesadilla, I got to work on some paperwork for school. I was taking a break from work, trying to think about what I wanted to write, when a colleague and friend of mine walked in the door. He walked over, and I invited him to join me. He and I started talking about blogging, and I shared my experiences with the SOL challenge over the years. This led to discussions about teaching, specifically reading and writing. He happens to teach middle school language and literature, so it was right up his alley. Being a primary-only experienced educator, I was unfamiliar with what reading and writing looks like in middle school. My only assumption was that it typically looked quite different from primary. Shortly into our conversation, however, he mentioned that he taught using reading and writing workshops. Say what?!? My ears perked up, and my literacy hat came on! From there, he and I discussed the learning happening in his classroom, the energy for writing palpable. What followed was a back and forth exchange of ideas, comparing writing workshop in primary to how it’s done in secondary. His students just finished a memoir unit (swoon! ), and have just begun a persuasive writing unit. I jumped in, telling him I have some teaching resources (that just so happen to be for grades 3-8) that I can lend him. “Bring it on!” he said. That discussion led to his last unit of the school year, which is poetry. We have a shared philosophy for teaching poetry, in that we both believe it’s not effective to teach form poetry, but rather provide students with ample mentor texts to learn from and tools to use in their own writing. At this point, I shared a few mentor poems as well as my own poetry from my blog, and we realized that we’d both had the privilege of attending PD from Sara Holbrook and Michael Salinger. Small world! 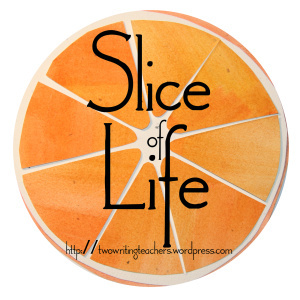 This entry was posted in Slice of Life and tagged #sol16, friends, geeking out, literacy, Slice of Life, students, talking shop, workshop, writer's workshop, Writing on March 30, 2016 by aggiekesler. Last month I attended the Literacy Institute in Hong Kong where I got to rub elbows with and learn from Kathy Collins, Matt Glover, and Carl Anderson. I know, I know…I’m a pretty lucky girl! I wanted to share a little bit of what I learned from Carl about the power of mentor texts. We all know mentor texts are important because they can give us some background on a new genre or style of writing, and we all know how important they are to writing workshop. A phrase I love that Carl used was “writing under the influence,” and I think it’s really important that we not only learn from and use mentor texts in our own writing, but teach our students to write under the influence as well. What I got out of this learning engagement was the power of writing under the influence and how very important using engaging mentor texts is in writing workshop. The level of my writing was elevated by being exposed to quality texts, being able to discuss the things I noticed with my peers, and being given a time and space to write and play around with words. What successes or challenges have you had with using mentor texts in writing workshop? How much time do you generally devote to reading mentor texts and discussing them with your students? This entry was posted in Poetry, Slice of Life, Workshop Reflections and tagged #sol14, Carl Anderson, goat cheese, literacy, Poetry, reflection, Slice of Life, workshop, writer's workshop on March 27, 2014 by aggiekesler. As I stated in my previous post, our summative assessment task at this weekend’s workshop was to write our own personal leadership statements. Through discussions with our group, thought-provoking videos about effective leadership, personal surveys that determined our strengths, personality type, and leadership style, and thoughtful reflections, we each wrote our own “statement” on leadership. I say “statement” because mine turned out to be a bit unconventional. My leadership statement evolved into a poem. While I may revise it later into a more conventional statement, here’s a look at my first draft. I’d really love your feedback! when obstacles come my way. and true to my word. the strengths of my team. This entry was posted in Poetry, Workshop Reflections and tagged leadership, Poetry, pyp, reflection, workshop on November 17, 2013 by aggiekesler. This weekend I attended a IB PYP workshop in Hong Kong entitled “Pedagogical Leadership in the Early Years.” Our workshop leader, Anne-Marie Evans, was phenomenal! Her thoughtful preparedness, learning engagements that were actually engaging, and pacing made this such an enjoyable learning experience for me! The workshop attendees were also great, and I was able to make connections and learn so much from all of them! I learned some new technology ideas I can’t wait to share with my staff! Hopefully they will work in the mainland. 🙂 A few of the sites were TodaysMeet.com, an online “Twitter-like” discussion in real time; Padlet.com, a site similar to Wall Wisher, but even better and easier to use; Cousera.org, a FREE site that offers online university courses to students worldwide. To learn more about Coursera, watch this TED Talk by Daphne Koller. Leadership vs. Management- This was the heart of the workshop. The mix of collaborative discussions within our group, personal surveys to identify our strengths, personality style, and leadership style, and reflection after reflection resulted in the creation of our own personal Leadership Statement, the summative assessment of the entire workshop. I’ll post my Leadership Statement in another blog entry. I’d love your feedback! Group vs. Team- How often do you work together as a group, but not really as a team? I never really thought about these words being different, but during this workshop, we explored what it really meant to work as a team through several learning engagements (“Lost at Sea,” “Marshmallow Challenge,” etc.) and the truly meaningful piece for me was the reflection on each engagement. We had to reflect on how we worked together, which was made easier because each time we had a scribe to record our actions. This is the piece that I don’t do well enough with my staff. I find that I’ll lead them in engagements or show an interesting video, but then the reflection piece falls flat, and it ends up with me sharing my own thoughts with them more often than not. I would like to work on this, and thanks to Anne-Marie, I’m armed with some new strategies! WHY-HOW-WHAT- We watched a moving TED Talk by Simon Sinek who shared how inspired leaders lead from the inside-out. He shared a visual of 3 concentric circles with WHY at the center, followed by HOW, and ending with WHAT. This resonated with me because as Sinek said, “People don’t buy what you do, they buy why you do it.” Wow…this was so eye-opening for me, and really sparked a desire to find out not what kind of leader I was, but get down to why I am a leader. The Importance of Play- Did you know that play is essential to forming your brain? Did you also know that play doesn’t stop when you’re a young child? As someone who doesn’t have a strong Early Childhood background, this discussion was so informative. We watched this amazing video all about the science behind play, a TED Talk by Stuart Brown called “Play is More Than Fun”. I learned that play is vital for problem solving, and those who are play-deprived are actually at a disadvantage compared to their peers. I was surprised to hear that the opposite of play is depression! I cannot wait to re-watch the video and unpack it even more. As you can tell, we had a lot of learning packed into our three days together! I am excited to dig in and expound upon what I learned, and begin to share this learning with my staff! This entry was posted in Workshop Reflections and tagged leadership, pyp, reflection, workshop on November 17, 2013 by aggiekesler. 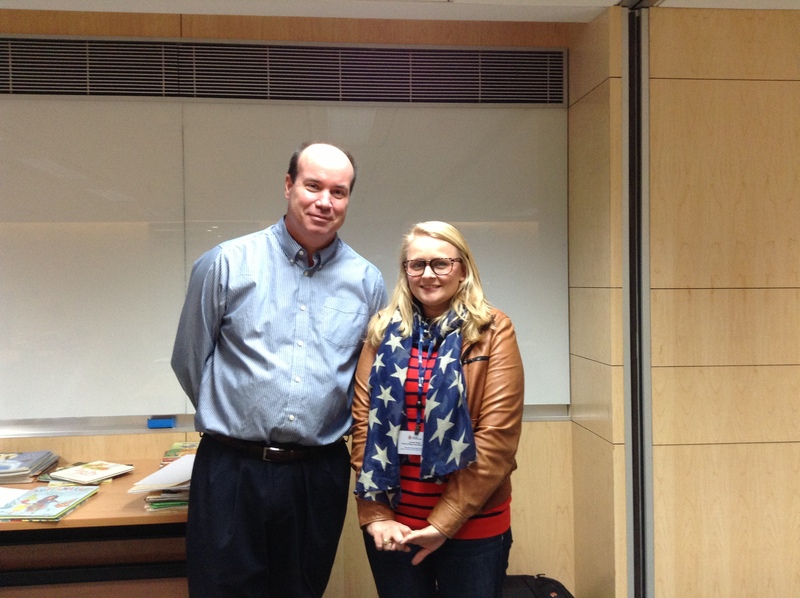 Here’s yet another post where I share what I learned from “The Art of Teaching Literacy” workshop in Hong Kong. This session was presented by Matt Glover and it was called “Conferences that Nudge Writers Forward.” Matt Glover is an author and presenter who focuses primarily on teaching our youngest writers, grades preschool to first grade, how to write. If you missed the other posts, you can check them out here and here. It’s your job to find out what they can already do to determine the next small step. A nudge is something they can do that is within their zone of proximal development. You many see many things that the writer needs to improve upon, but it’s important to narrow it down to just one teaching point. Choose between a focus on composition or conventions, not both. Teaching means I’m going to show you how to do something that you don’t know how to do. Don’t confuse reminders, telling, or correcting with teaching. Matt carries around mentor texts and notes in a folder to make it easier to confer. -Conference Viewing Form: A form to use when observing a conference or watching a video of a conference. Do I teach to the minilesson or something else? Invitational or directional teaching point? Say “book” not “story” because when you call their writing a “story” you are implying that they are writing a story when they may be writing an informational text, list book, etc. Need more time to decide on a teaching point? It’s helpful to slow down the conference by asking more questions to figure out more information. Use writing samples and videos to improve skills at conferring. Take notes AFTER the conference so the kids aren’t distracted during the conference. You’ll never know if your teaching point was the best one to teach or not. You only have once chance to teach. Then you can reflect and get better next time. So don’t beat yourself up about it. -Book recommendation- Sit Down and Teach Up by Katie Wood Ray and Matt Glover- an ebook that contains videos of 15 conferences with preschool, kindergarten, and first grade students as well as notes, charts, and explanations of their thinking. You can purchase it on iBooks or download a PDF version from Heinemann’s website. I love learning from Matt Glover. Even though he makes conferring seem effortless, when he’s presenting, he slows down the process for us, revealing his thoughts and reasoning behind the choices he made. If you haven’t read his work, you should definitely check it out! Engaging Young Writers and Already Ready (co-written with Katie Wood Ray) are great reads for teachers of young writers. And if you ever get the chance to see him present, jump at the opportunity! You will not be disappointed! Matt and I at the conference. I was a little starstruck! This entry was posted in Slice of Life, Workshop Reflections and tagged #slice2013, conferring, literacy, Matt Glover, Slice of Life, workshop, writer's workshop on March 17, 2013 by aggiekesler. Here’s another installment of sharing from “The Art of Teaching Literacy” workshop in Hong Kong. I attended one of Stephanie Harvey’s sessions entitled “Inquiry-Based Learning: Content Vs. Coverage” and learned quite a bit! As a literacy coach at a PYP school, I think a lot about teaching through inquiry, especially teaching reading and writing through inquiry. Here are my notes from the session. Students need strategies for comprehension in order to inquire. Students need to learn how to collaborate in order to inquire. Students are born thinkers. They come to us already doing it. We need to teach them ABOUT their thinking. We want to know what the text makes them think about, rather than just have them retell the story. to have a sense of agency- read Choice Words & Opening Minds by Peter Johnston- Stephanie says these are great reads! Information in—> then thinking—> and out comes knowledge! Without thinking, it’s information in, information out. Empower them to realize they have to do the thinking on their own in order to gain knowledge; gives sense of agency. Use a common language about literacy and strategies. “The more worksheets the kids fill out, the lower the students achieve.” Zero studies link worksheets to high achievement! They require no thinking and they don’t allow for differentiation. Alternatives: Think Sheets, graphic organizers, diagrams, post its; there should be nothing there until kids work on it. Kids are working out their thinking when they do this type of work. You know what they’ve learned and what they haven’t when you’ve read their Think Sheets, so it’s an authentic assessment. Inquiry Circles in Primary Grades: Kids Want to Know! Inquiry should permeate the day, not be in just a few projects. Inquiry Circles in Action by Harvey & Daniels- Great Book! Stephanie likes books that have a title as a question. Schools should fit kids, not the other way around. Immerse- Flood them with texts, maps, online sources, images, DVDs, etc on topic. Investigate- Begin to have enough information to ask good questions. You can’t ask a good question about something you don’t know about. Coalesce- Pull together information to synthesize and address what you’ve learned. Investigate– When we learn something new, our thinking changes; Our questions lead to a line of thinking. This entry was posted in Slice of Life, Workshop Reflections and tagged #slice2013, inquiry, Slice of Life, stephanie harvey, workshop on March 14, 2013 by aggiekesler. We are currently going through the fastest change in history. Did you know…Google began in 1994? Facebook is only 5 years old? Twitter is only 28 months old? ‘Friend’ is a verb in the dictionary (2010)? ‘Unfriend’ is too (2012)? We, as educators, have no idea what careers there will be in the future. We are preparing our students for careers that haven’t been invented yet. For future careers, we know students that will have to be thoughtful, strategic, wonder/be curious, and work together/collaborate, so we need to prepare children for this. STEM- science, technology, engineering, math; STEM is the area most careers in the future will be centered around. Kids are naturally curious in kindergarten, but by fifth they aren’t. Conventional schooling drives curiosity out of them. The more you learn, the more you wonder, therefore, you should have more questions in fifth and twelfth grades than you did when you were younger. We really need to be having lots of fun with our kids. The most direct link to learning is engagement, thus fun. Inquiry-based learning is learning in a way that the kids’ questions matter. Students need to constantly turn and talk; kids shouldn’t have to listen for more than 5 minutes without stopping to process and talk. We need to live a curious life ourselves! How can we do that? Always ask “What are you still wondering?” because this allows you to gather loads of information from their questions. Kids need plenty of time to just plain read! Why is it that the kids who need the most time to read get the least? We OVER-instruct them! We pull them for this or that and don’t let them just read. Every child who is a year behind needs twice as much reading as on-grade level kids. Give them class time to read. Make sure to give kids what they want to read to ignite their passion. Stephanie ended her keynote with, “Smart is not something you are, smart is something you get. And you get smart by reading, writing, drawing, talking, listening and investigating.” I believe it is imperative that we offer our students opportunities everyday to inquire, collaborate, read, write, use technology, speak, listen, experiment, play, ask questions, find the answers, and have fun. Stephanie is such a phenomenal person to learn from; she is incredibly passionate about what she does and it is evident that she truly loves children and wants them to succeed. I hope that you learned a little something today. Please leave any questions you may have in the comments section, and I’ll do my best to clarify them for you. This entry was posted in Slice of Life, Workshop Reflections and tagged #slice2013, literacy, Slice of Life, stephanie harvey, workshop on March 13, 2013 by aggiekesler.